Topical: medical anthropology, aging and the life course, kinship and personhood, memory, postsocialist studies, political economy, morality, population studies, palliative and hospice care, gardens, urban environments. Geographical: Poland, Central/East Europe, European Union, US. Jessica Robbins is an Assistant Professor at the Institute of Gerontology and Department of Anthropology at Wayne State University. As a medical and sociocultural anthropologist, she studies how individuals' experiences of aging--especially of health and illness--are part of broader social, cultural, political, economic, and historical processes. 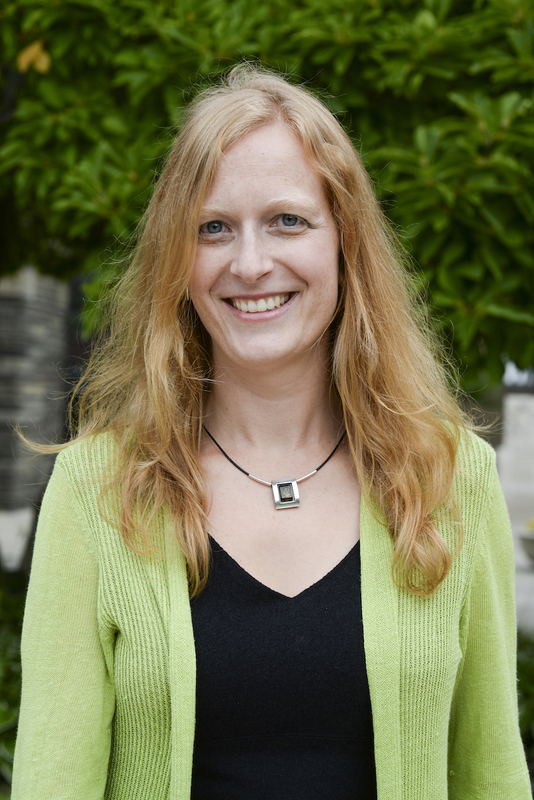 Dr. Robbins's research is motivated by a concern for how some older people become valued and socially included, while others are devalued and socially excluded. As an anthropologist, she seeks explanations for these moral processes in the links between personal experience, personal and discursive imaginations, and transformations in political economy. Thus far she has sought to answer these questions through ethnographic research in Poland, a place where radical sociocultural and political-economic transformations have occurred in the lifetime of the oldest generations. She is currently in the early stages of two new studies on aging in post-industrial contexts in Michigan: the first, an ethnographic investigation of connections between wellbeing and place among older adults who garden in Detroit; and the second, with Co-PI Dr. Tam Perry (WSU, School of Social Work), an ethnographic investigation of older adults' experiences and understandings of the water crisis in Flint, Michigan. Forthcoming. Aging. In International Encyclopedia of Anthropology. Wiley-Blackwell. Hilary Callan, ed. Forthcoming. Aspiring to Activity: Universities of the Third Age, Gardening, and Other Forms of Living in Postsocialist Poland. In Successful Aging: The Anthropology of a 21st Century Obsession. Sarah Lamb, ed. Rutgers University Press. Forthcoming. Introduction. As second author, with Sarah Lamb and Anna Corwin. In Successful Aging: A 21st Century Obsession. Sarah Lamb, ed. New Brunswick, NJ: Rutgers University Press. Forthcoming. Responsibilities of the Third Age and the Intimate Politics of Sociality in Poland. In Competing Responsibilities: The Ethics and Politics of Responsibility in Contemporary Life. Susanna Trnka and Catherine Trundle, eds. Duke University Press. 2015	“Active” Aging as Citizenship in Poland. In Generations: Rethinking Age and Citizenship. Richard Marback, ed. Pp. 270-286. Detroit: Wayne State University Press. 2014 National Dimensions of Personhood among Older People in Poland. Etnografia Polska (Polish Ethnography) 58(1-2):159-174. 2014 Thinking with “Postsocialism” in an Ethnographic Study of Old Age in Poland. Cargo: Journal for Cultural/Social Anthropology 12(1-2):35-50. 2013 Challenging Marginalization at the Universities of the Third Age in Poland. Anthropology & Aging Quarterly 34(2):157-169. 2013	Shifting Moral Ideals of Aging in Poland: Suffering, Self-Actualization, and the Nation. In Transitions and Transformations: Cultural Perspectives on Aging and the Life Course. Caitrin Lynch and Jason Danely, eds. Pp. 79-91. New York: Berghahn Books. 2013	Understanding Aktywność in Ethnographic Contexts: Aging, Memory, and Personhood in Poland. Forum Oświatowe (Educational Forum) 1(48):87-101. 2013	Aktywność i jej etnograficzne konteksty: starzenie się, pamięć i podmiotowość w Polsce. Translation of the above, by Patrycja Poniatowska. Forum Oświatowe. 1(48):103-119.